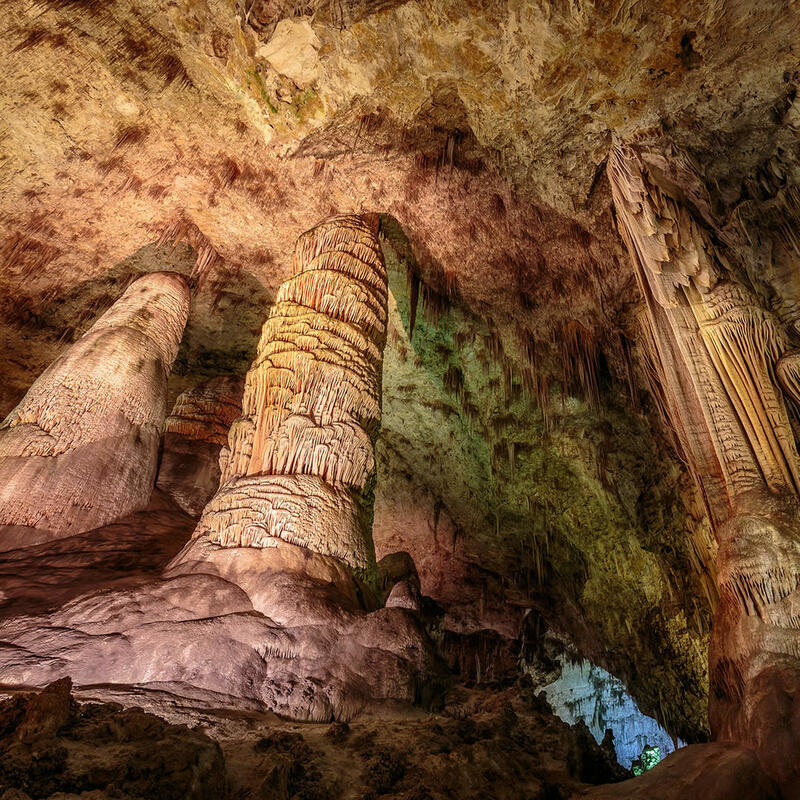 Carlsbad Caverns National Park features more than 100 caves. The caverns are most famous for the "Big Cave" and its Big Room. The Big Room is its main attraction and is accessible either by elevator or by way of a short pathway. Hours vary seasonally and the bat flights that occur in the evening during much of the year are an attraction that surely shouldn't be missed.